For the last decade, Joe Quesada has guided Marvel and its characters back to prominence as editor in chief — along the way changing the manner in which the industry works from the inside out. With those achievements part of his resume, it’s perhaps easy to overlook that at the root of all his success is his skill as an artist. 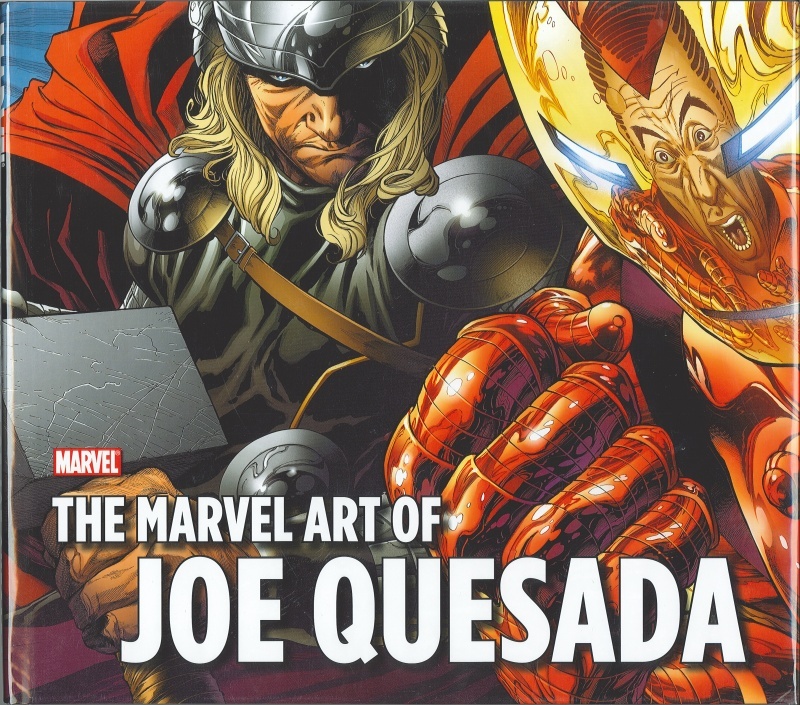 THE MARVEL ART OF JOE QUESADA doesn’t overlook a second of Joe’s artistry, featuring his best interior and cover artwork, as well as a wealth of unpublished images and sketches — plus commentary from Joe himself! This is a big book covering in wide pages Joe Quesada’s art career at Marvel, which is surprisingly short since he took the rains of Editor In Chief fairly fast. Basically Daredevil and Spider-Man art with a good selection of covers thrown in. 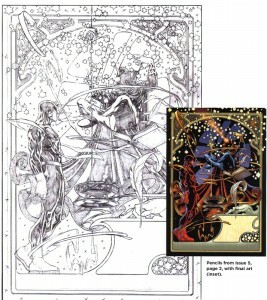 John Rhett Thomas put the material together and brings commentary from Quesada, Bendis, Brubaker, Isanove, Janson, Loeb and Mack. Lots of breadth with mostly finished art but pencils and inks scattered around. It’s a nice collection if you’re a Quesada fan. There is a significant portion of the text dedicated to basic technique and Quesada’s progression from traditional pencil and ink to computer graphics. A decent insight into the creator, capped with ten pages of an interview and photos of his studio. An art book is a tough balance since people want to see as much art as possible but also appreciate discussion of said art without becoming too technical. Thomas pulls it off. The design screams coffee table book, with its wide 11.5×10.25″ format. It’s got a good heft to it but the paper used is very thin: after opening the sealed hardcover I found many of the pages had stress marks and little crinkles. You can see through the pages clearly which is a big no for a book about art. It comes to us from Marvel Worldwide, a division of Marvel Entertainment, whom I’ve never heard of. At $50 it borders on the line of overpriced, especially with the weak paper choice. 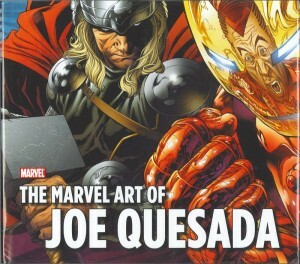 Quesada fans will overlook the flaws and see the content as must-have material.